Hello and welcome to Visions of Sugarplums! Thank you to my sweet friend Lori for inviting me again this year! Are you ready for lots of prizes and inspiration?!!! The prize for the challenge is a $20.00 gift certificate to Mama Elephant. The challenge will start Dec 2nd and run through Dec 16th. Post your projects to the challenge! Even the ones you do after Visions of Sugarplums. 2. Visit all the other blog's and leave comments. 3. Lori will pick up your name from here, check all the other blogs and put your name in the "hat" as many times as you leave comments. Example: Leave 14 comments = your name 14 times in the "hat". More projects and prizes tomorrow!!!!! So BEAUTIFUL! Your Projects are stunning! LOVE the vintage style - neat idea to use a cookie cutter... Have a wonderful Day! love love that cookie cutter ornament - wonderful idea!! 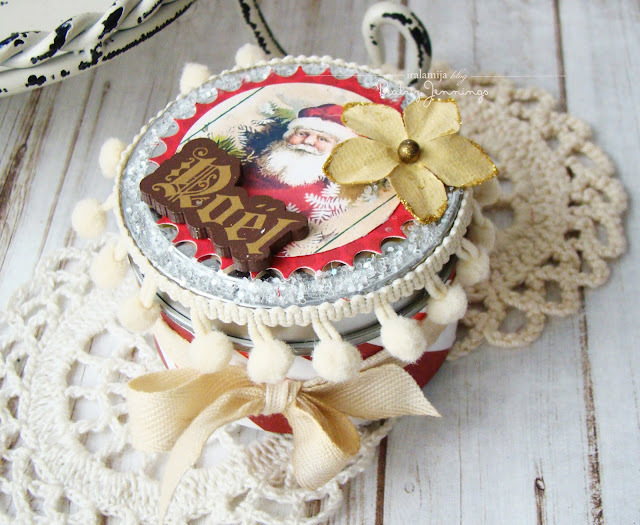 Adorable Christmas cookie ornament and tin box! These are so festive! I love, love, love all your projects. I would love to win the prize! 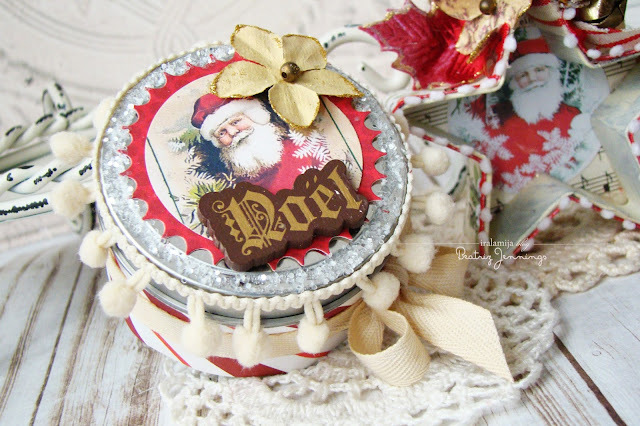 Your tin container is so pretty and your decorated star...oh my goodness! 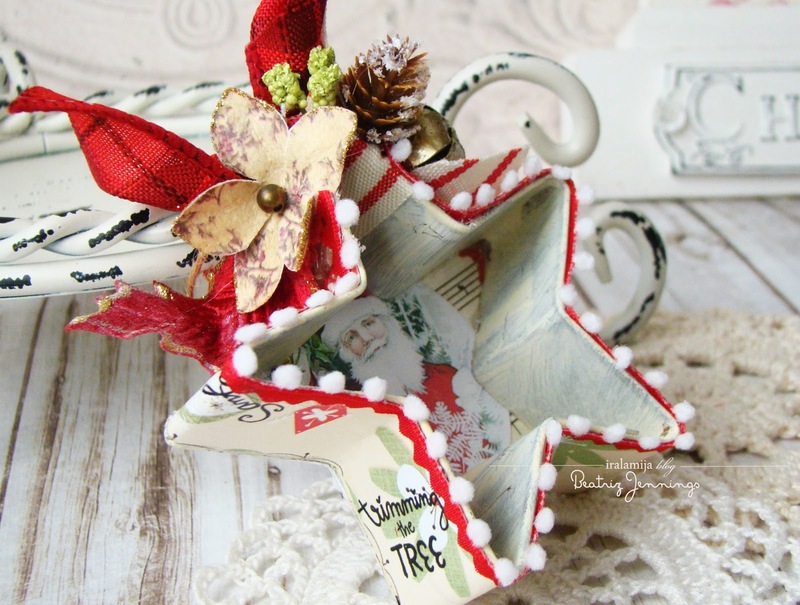 What an innovative idea to 'spruce up' a cookie cutter and transform it into a lovely piece of Christmas decor! In awe at your creativity! Thank you for the Saturday smiles! Such a great idea to use a cookie cutter this way. This is the time of year to pick them up since they seem to be on sale everwhere. Also, I would love to win any of those great prizes! What a stunning creation, Bety! I could lose myself in your elegant and fabulous creations!!! Just precious. I really love the cookie cutters you fussy up. I have the Easter ones and I truly love them. Have a wonderful weekend and thanks so much for the fun. Love your star ornament with Santa. It's just gorgeous! I'd love to win. Thank you for the opportunity! Wow! Love your star and box. Just absolutely beautiful - love all the details. I see more everytime I look! Wowzers! Those are gorgeous! I love those vintage images you've used! Beautiful! Oh and yes, I would love to win! 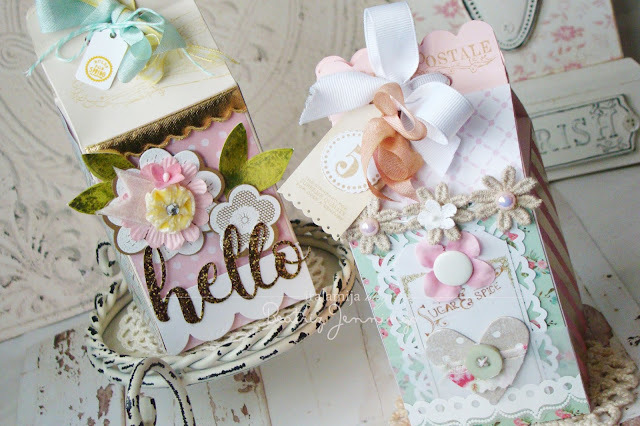 Thanks so much for the blog hop and inspiration! Gorgeous Boxes/Ornaments such loving details. So very eye catching. Its a treat to hop along, and yes I'd like to win...but if not the view is fab. 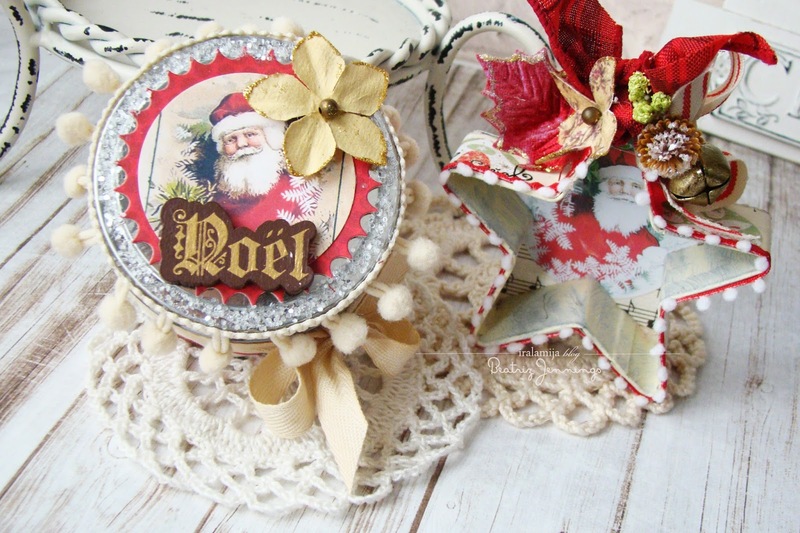 Gorgeous Christmas vintage projects!! Absolutely beautiful!! Visit your blog is always a delight. Love your projects. So pretty Bety. What delightful projects. I would love to win. Oh how I love your gorgeous creations, so so pretty! The cookie cut ornament is such a wonderful idea! beautiful! 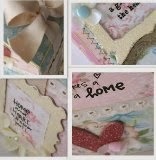 love the shabby vintage! Yes, I would love to win...so pretty! 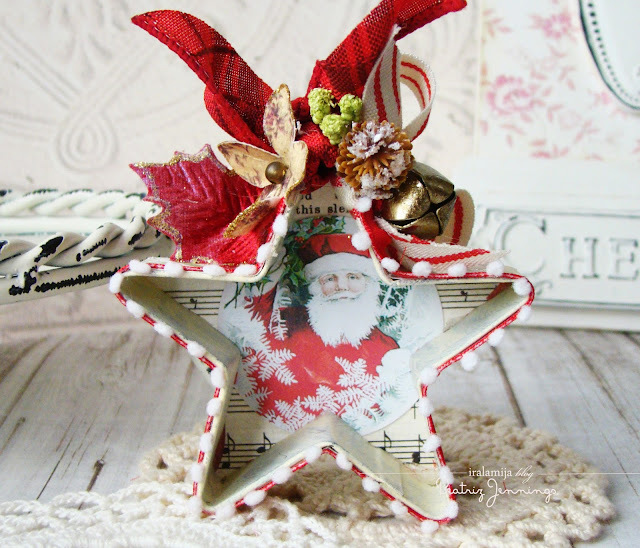 Love the idea of making ornaments with cookie cutters! Wow! These are some absolutely gorgeous projects! 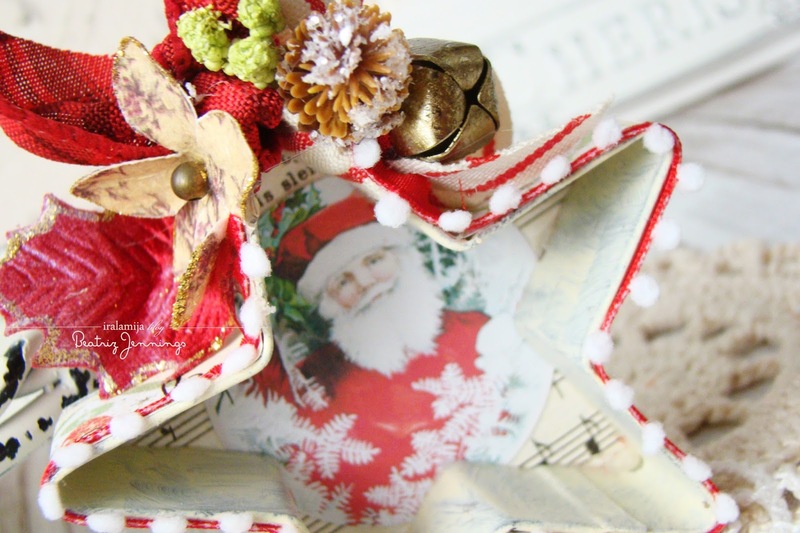 They are so beautifully crafted and really have brought the holidays! Beautiful projects! I especially like the cookie cutter turned ornament! So very, very pretty! So beautiful and filled with Christmas goodness at every turn. 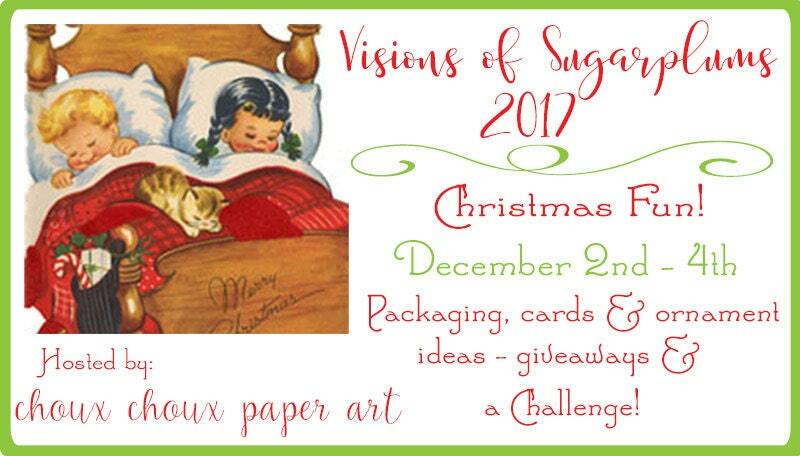 Thanks so much for inspiring us and for sharing in the Visions of Sugarplums Blog Hop. What a treat to see your creativity and to enjoy your wonderful projects. I love how they look kind of vintage. Happy holidays! WOW you can really make a project come to life. These are so pretty! Of course I would be over the moon excited to WIN any of these prizes, but I think the real prize is seeing all these wonderful things you've made for us. wow I love your projects.. very creative. Thanks for sharing.